Manhwa and Manhua are a lot like Manga but they come from South Korea and China respectively; and carrying the added benefit of usually being in color. Sound interesting? Good, because today we present to you three more Manhwa & Manhua for your reading pleasure: Noblesse, Soul Land, and 4 Cut hero. Learn about each series and see where you can start reading and discussing them below. Where to discuss: Our Noblesse community section. Among the ancient and powerful beings in the world there is one whose strength is feared by all, Cadis Etrama Di Raizel also known as "The Noblesse". A man before whom even the most powerful can only kneel. Having been asleep for hundreds of years he wakes to find the world a changed place. In order to understand this new age he joins the class in a high school run by his closest friend, Frankenstein. But, in an age where ancient powers threaten the world, it won't be long before his power will be needed once again. This is the polar opposite of coming-of-age stories, focusing on an ancient and powerful being integrating with a modern world and dealing with dangers nobody else can. 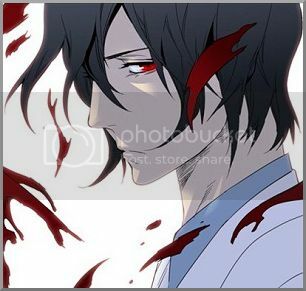 Noblesse is one part comedy and two parts battle manga with style to spare. Raizel, simply put, is the One-Punch Man of vampires. When he steps into a fight things get epic. Much of the fun, however, comes from his casual modern day life, where he faces the only opponents he can't defeat - modern appliances. So if you're in the mood for a series with epic battles and great sense of humor this might just be the manhwa for you. Where to discuss: Our Soul Land community thread. After Tang San, a genius martial artist from the world's strongest clan, steals forbidden knowledge and is killed for his crime, he finds himself reborn as the son of a humble blacksmith with all of his memories intact. He embraces this second chance and uses all the knowledge and powers from his previous life to protect his newfound family and friends, while trying to become a peerless spirit master. 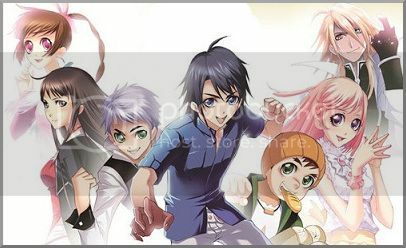 This is a shounen style series based off of a popular webnovel by the same name. Expect adventures and cool of supernatural battles. One of the things that sets this series apart from other action adventure series is its deep and well developed magic system based around spirits. In order to develop and grow these powers, potential spirit masters must hunt spirit beasts in order to gain portions of their strength and abilities. This gives it a pokemon meets monster hunter feel which is both easy to understand and easy to get into. So, if you're looking for a magical adventure, give this one a try. Where to discuss: Our 4 Cut Hero community thread. A hero is supposed to defeat a villainous demon lord, save the princess, and live happily ever after right? Well, for Jid being a hero didn't quite work out that way. The princess he was supposed to save turned out to be a prince and his happily ever after turned out to be unemployment. So he choose a new path in life and embraced the otaku lifestyle, becoming a NEET. However, when the demon lord's former followers start showing up in his life he realizes that maybe somebody still needs a hero after all. This is one of the funniest hero parodies around and much of the reason lies with it's bizarre cast. Jid the NEET hero might actually be the least bizarre of them all. Whether it be Zena the BL obsessed dark elf or Fog the minotaur and self declared "Gentleman Pervert", this is a group that will keep you highly entertained. If you're looking for something funny to read, do yourself a favor and check this one out.